We know everyone has been anxiously awaiting Pandora – The World of Avatar. I am excited to say, “it’s open!” We have been to Pandora The World of Avatar 4 times, rode Flight of Passage 6 times, tried all of the menu item at Satu’li Canteen, got “glow in the dark” face painting, interviewed Disney Imagineers who worked on Pandora, and even interviewed Avatar producer Jon Landau. We are excited to share all of Pandora with you. Pandora The World of Avatar is located inside Disney’s Animal Kingdom Park. This new land inside the park is included with your paid admission. ACE (Alpha Centauri Expeditions) is an expedition company approved to take visitors into Pandora The World of Avatar. ACE will take you from Disney’s Animal Kingdom Park on the ultimate expedition to Pandora. Are you ready? Last week was the Opening Dedication for Pandora The World of Avatar. There were so many big names in attendance including; Bog Iger, James Cameron, Zoe Saldana, Sigourney Weaver, Sam Worthington, Laz Alonso, Stephen Lang, Wes Studi, Joel David Moore, and more. It was exciting to see the whole cast from the Avatar movie. You can enjoy the live stream of the Opening Dedication of Pandora below. As you walk across the bridge into Pandora, you will instantly be transformed to a new world. You will smell, touch, and see Pandora. It is a whole sensory experience. 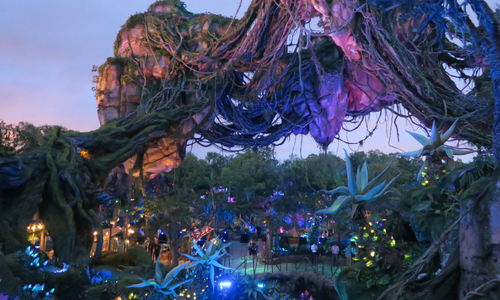 One of the first experiences with the nature of Pandora is the large plant at the front entrance. You can feel the plant and it feels you. As you touch is water mists out the sides and top of the plant. You can even see the plant glow where you touch it. You may be a little grossed out, but it is amazing. One of the first things you will see as you walk into Pandoa is the Valley of Mo’ara. You will be mesmerized by the incredible landscape. This includes the spectacular floating mountains. You can enjoy these breathtaking mountains from a distance or you can walk right underneath them. I would plan on spending time just wandering throughout Pandora. You can wander over bridges and along paths, while enjoying the nature and locals of this world. Some of the plants in Pandora are just incredible with bright blues, purples, and greens. The plants are alive, so watch out! You can spend hours just wandering around enjoying the scenery of the Valley of Mo’ara. You may even run into one of the ACE locals. They love sharing information about the plant life of Pandora. The whole family will enjoy this adventure down the Kaspavan River in the Na’vi River Journey. You will board a boat and basically float down the river. This expedition will take you deep into the rainforest in the Valley of Mo’ara. This water ride is beautiful, but there is not much of a story. You just float down the river enjoying the Pandora animals, bioluminescent plants, and Na’vi people. It is air-conditioned and kids will love it. This will be one of the rides we enjoy to “relax” kinda like Peoplemover and Spaceship Earth. Tip: If you get your face painted, be sure you ride this attraction. Your face will glow white and orange. It is amazing! 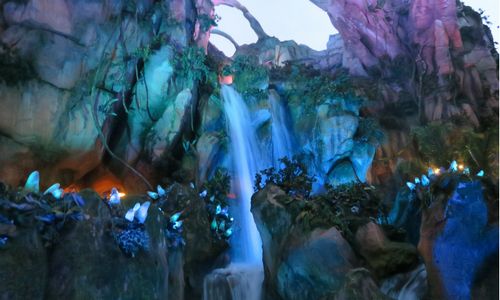 One of the most exciting expeditions in Pandora is the ride on the mountain banshee. This was such an amazing ride that I got teary eyed. We even had friends that cried on the ride. It is quite emotional, so do not be surprise if someone in your family cries during this ride. For our family, this is the best ride at any theme park ever! We rode it 6 times and loved it every time. On Flight of Passage, you will get a “bird’s eye view” of Pandora on the back of a mountain banshee. You will board the attraction like you would mount a horse or a motorcycle. You will also have 3-D glasses. This attraction is similar to Soarin. You will have a huge screen with the show in front of you with 4-D features like smells and water splashing in your face. You truly feel like you are flying through Pandora. Jones Family Travel Tip: The FastPass+ line takes you right to the ride. You will miss most of the queue line…which is incredible! If you book a FastPass+ for Flight of Passage, be sure you still walk through the queue line. You can just walk through without riding the attraction. Just for Fun: The queue line for Flight of Passage if filled up is a 4 1/2-5 hour wait. That is a LONG line! If the line fills up, Disney will close Pandora The World of Avatar. Our kids love the Wilderness Explorers at Disney’s Animal Kingdom Park. Pandora The World of Avatar has several Wilderness Explorer locations. You can learn more about the animals and plant life in Pandora and get additional stamps for your Wilderness Explorer guide. This is a fun and free souvenir for the kids. One of the hidden gems at Pandora is the face painting at Mo’ara. All of the designs have elements that glow in the dark in select areas of the rides and at night in Pandora The World of Avatar. I got my face painted and then hopped on the Na’vi River Journey to see it glow. The prices range from $18-22. I know that is expensive for face painting, but it makes the Pandora experience even more real. You can enjoy one of our recent videos at Pandora with my face painting and then “glowing” ride on the Na’vi River Journey. For Pandora – The World of Avatar, I have several favorites. I love the Flight of Passage, I love the face painting, and I LOVE the merchandise. There is a store called Windtraders and an extra merchandise stop next to Mo’ara. There is so much fun merchandise at both locations. I was never a huge Avatar fan, but the merchandise is just amazing. I have a list of souvenirs I still want to purchase on my future visits. Here are some of the highlights from the Pandora The World of Avatar merchandise. ACE will provide their guests with an opportunity to communicate with the Na’vi people with the Na’vi Translator. With this translator, you can learn how to pronounce (90) Na’vi words using interchangeable translation cards. The device also lights up at night, which makes it perfect for nighttime explorations on Pandora. The Na’vi Translator set will come packaged with 15 translation cards. The device has a clasp that extends up to 12-inches and can be attached to a belt or backpack. The Na’vi Translator is $19.99 and is one of our favorite Pandora merchandise. After you get off the Flight of Passage, you wander into the Windtraders store. Of course, you are super excited and love mountain banshees, so why not adopt one? In Windtraders, you can bond with a mountain banshee and even take one home. You will get a chance to pick your favorite mountain banshee (basically, pick your favorite color.) The cast member will then let you hold the mountain banshee and bond with it. If the mountain banshee chooses you, then you can take them home with you. This is a fun souvenir you can take home from Pandora for the price of $50. In Windtraders, you can build and purchase a Na’vi necklace. This is a fun craft for kids of all ages to remember your experience at Pandora The World of Avatar. This souvenir is $19.99. We know these expeditions will build up a hunger. 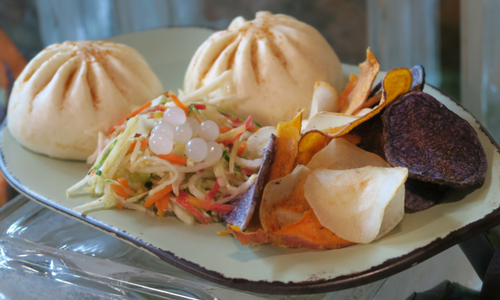 You can stop by Satu’li Canteen for a taste of the local life of the Na’vi. This quick service location features items with wholesome grains, fresh vegetables, and hearty proteins. 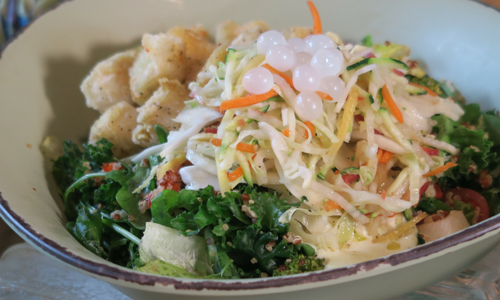 You may enjoy a bowl that you can customize with quinoa and vegetable salad, then red and sweet potato hash, and then mixed with whole-grain and rice or romaine and kale salad. You then choose wood-grilled chicken, slow-roasted beef, sustainable fish, or chili-spiced fried tofu. The bowl is then topped with charred onion chimichurri, black bean vinaigrette, or creamy herb dressing. For visitors to Pandora from Disney’s Animal Kingdom, you can use your MagicBands around Pandora. 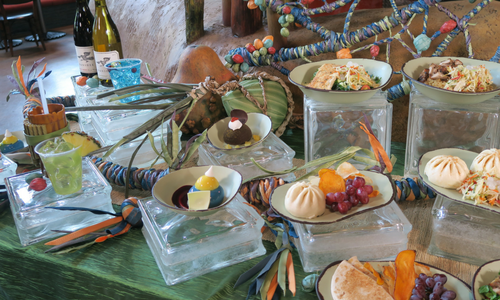 You will even get to experience a new option at Satu’li called Mobile Ordering. Mobile Ordering allows you to pay for your meal within the My Disney Experience app. Skip the line and purchase your meal on the app. When you arrive, click the “I’m here” button in the app. This will notify the kitchen to start making your meal. You will get an alert in the app when you meal is ready for pick-up. This is a great timesaver to enjoy more time at Pandora and with your family vs waiting in lines. 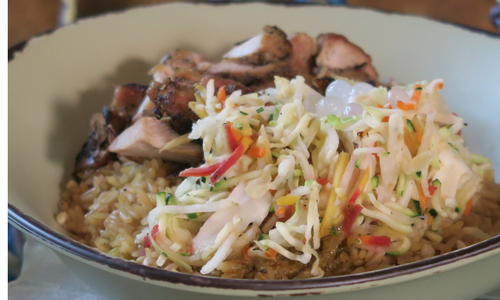 I loved the food at the Satu’li Canteen. I feel it is one of the best counter service/quick service locations at Disney’s Animal Kingdom. They have healthy choices and I love the “create your own” entrees. You can even sip on a local drink at nearby Pongu Pongu, which means Party Party in the native Na’vi language. Many of the beverages are non-alcoholic, so kids can enjoy them, too. Take advantage of FastPass+ for the two rides in Pandora. You can only book one or the other in your first 3 choices. We suggest Flight of Passage. The queue for this ride will still take up to an hour. Remember to take bathroom breaks before this ride. A great way to get the most of our visit to Pandora is with the “extra” time for Disney Resort guests. This special “extra” Extra Magic Hours run from 11 PM-1 AM through July 4. This extra time is only for customers that are staying at a Disney World Resort hotel. 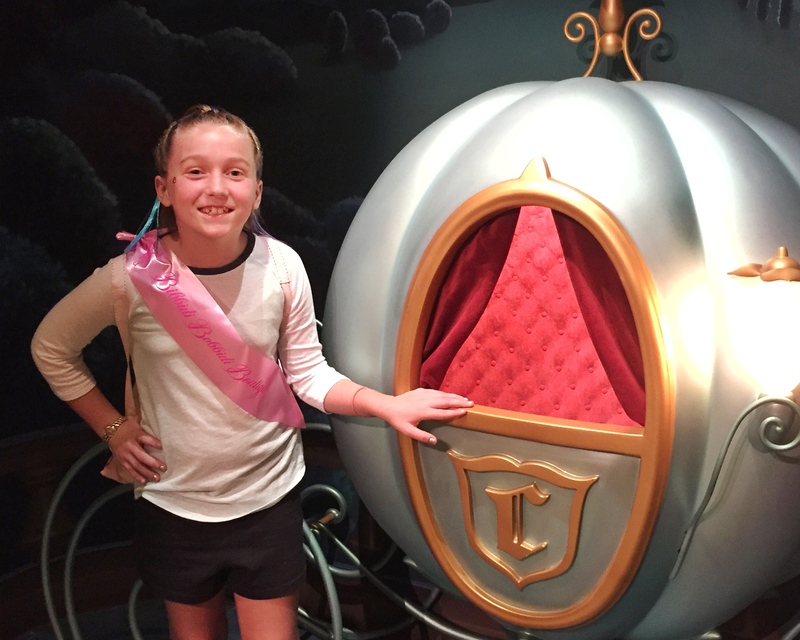 Avoid some of the crowds during this time exclusively for Disney resort guests. Disney’s Animal Kingdom Park is open on select nights to 11 PM through July 4. This gives you more time to enjoy the new area. What are you most excited about Pandora? Leave a comment below. 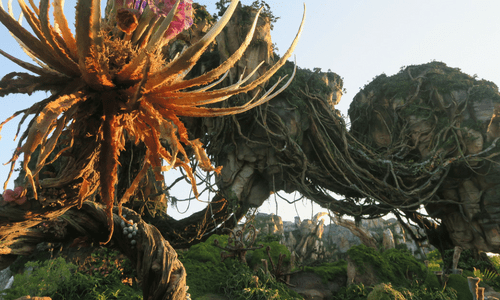 Disney's Pandora The World of Avatar to Open May 27!